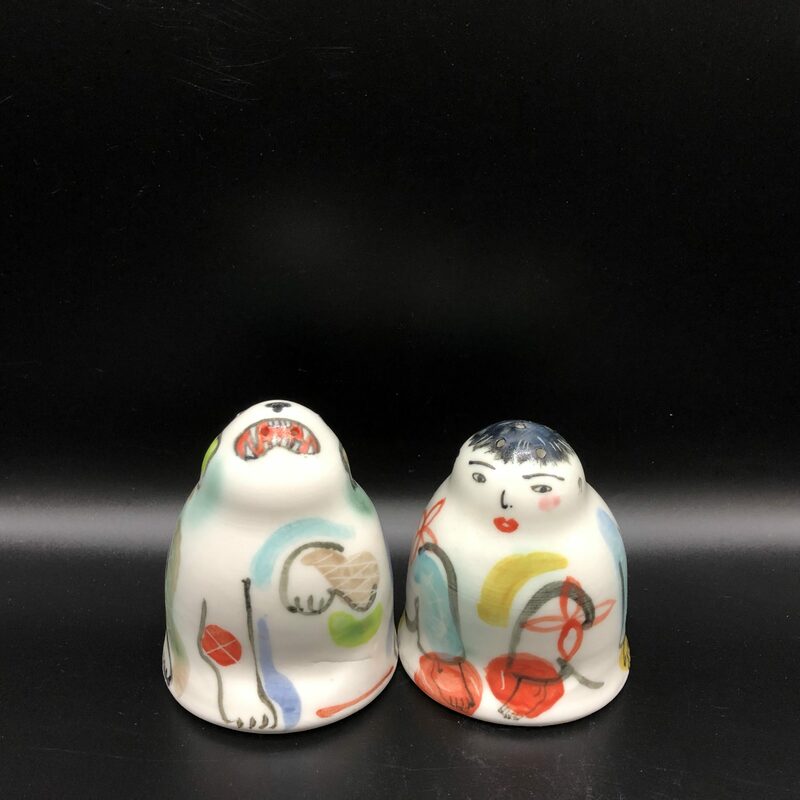 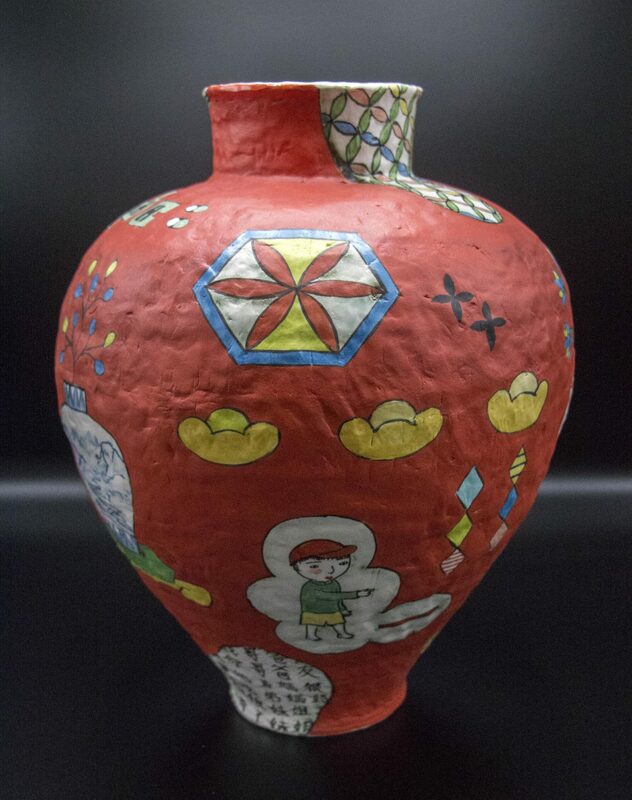 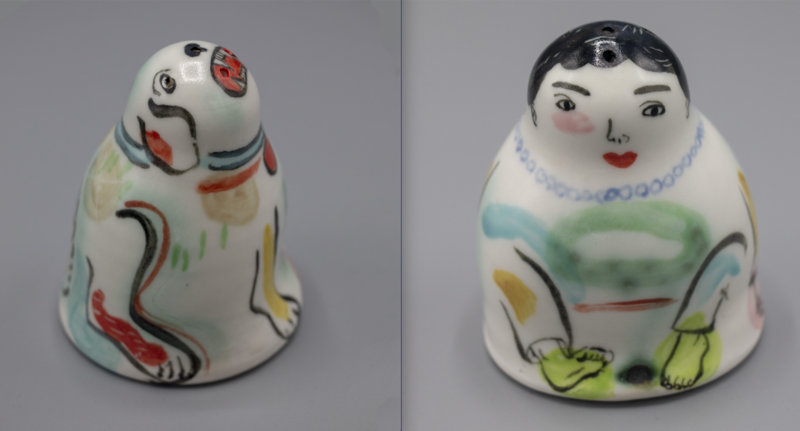 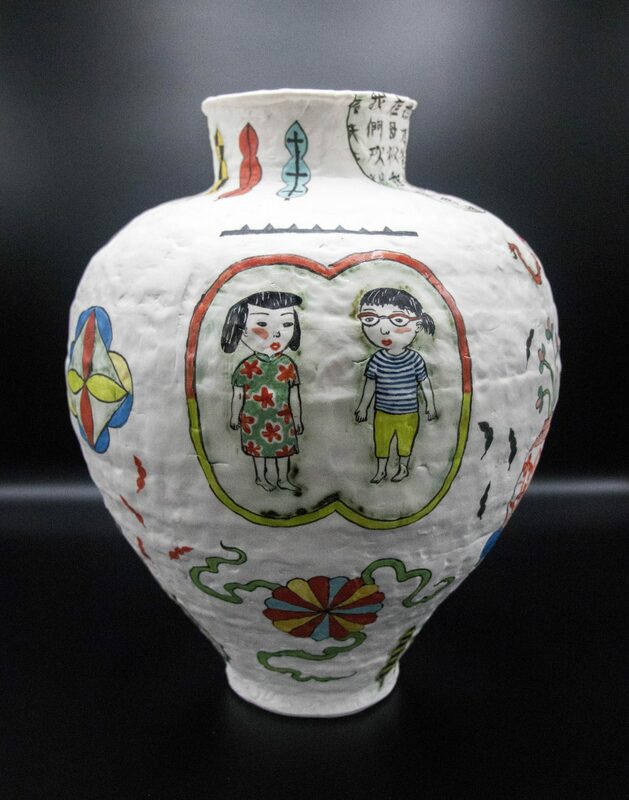 Beth Lo Guardian Vase (White), 2018 Ceramic, 18" x 11"
Beth Lo Guardian Vase (Red), 2018 Ceramic, 18" x 11"
Beth Lo Salad - $250, 2018 Ceramic, 5" x 9"
Beth Lo Mangez - $90, 2019 Ceramic, 5 1/4" x 2 10/12" x 5 1/4"
Beth Lo Sandwich - $265, 2019 Ceramic, 9 1/4" x 5 1/2"
Beth Lo Pizza - $265, 2018 Ceramic, 5" x 9"
Beth Lo Raise Your Glass (III) - $100, 2019 Ceramic, 3 1/4" x 4 1/4" x 4 1/4"
Beth Lo was born in 1949 in Indiana. 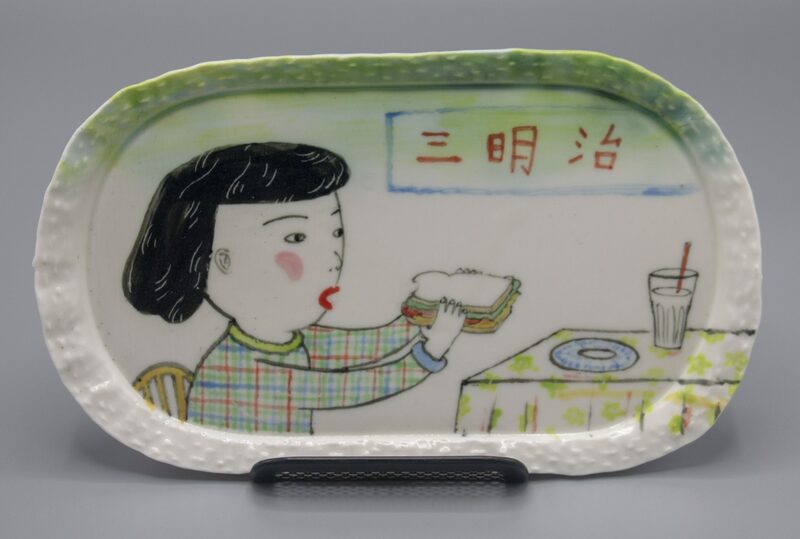 She is a first generation American. 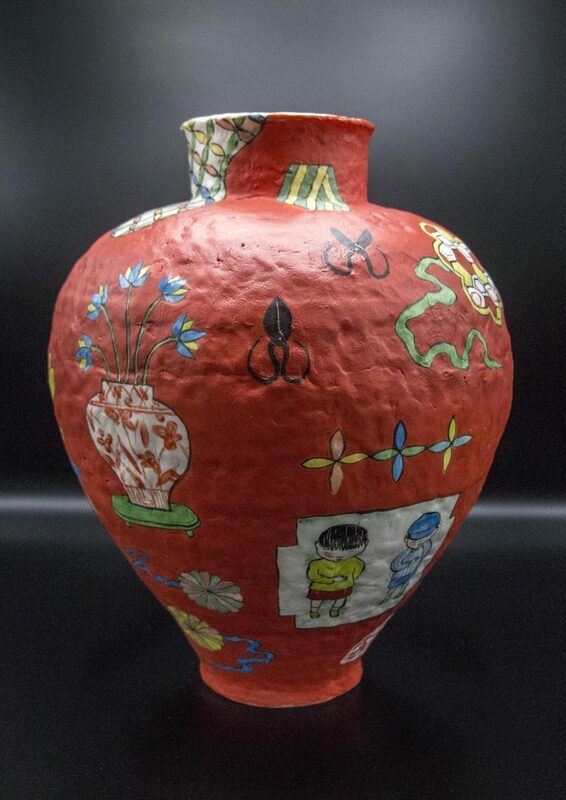 She studied with Rudy Autio at the University of Montana and received her MFA in 1974. 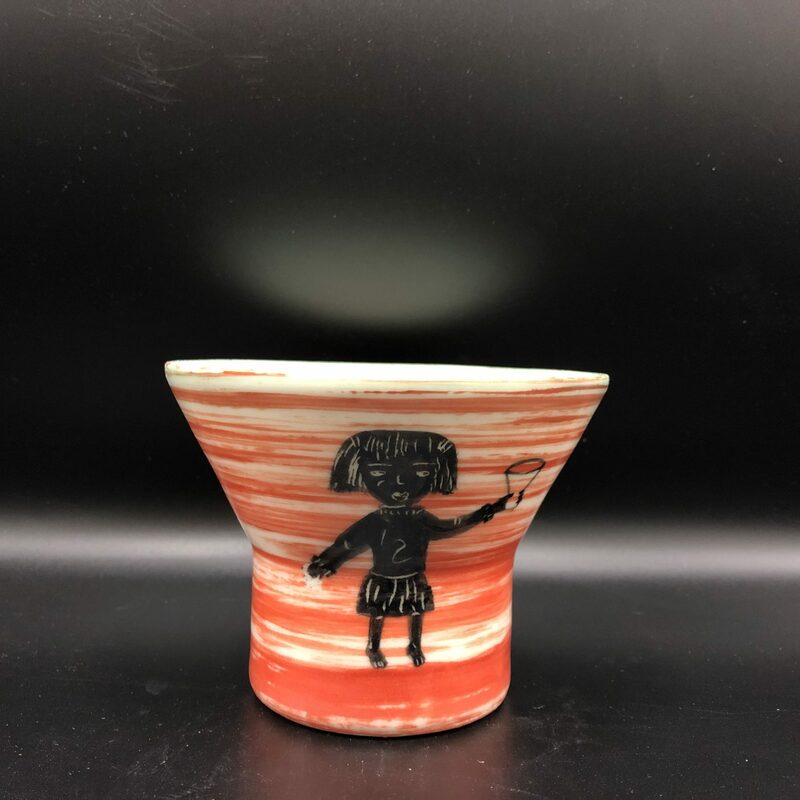 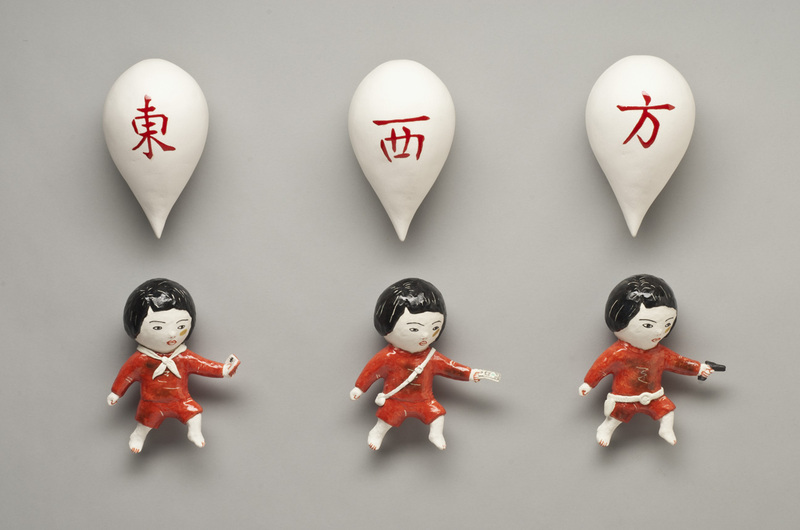 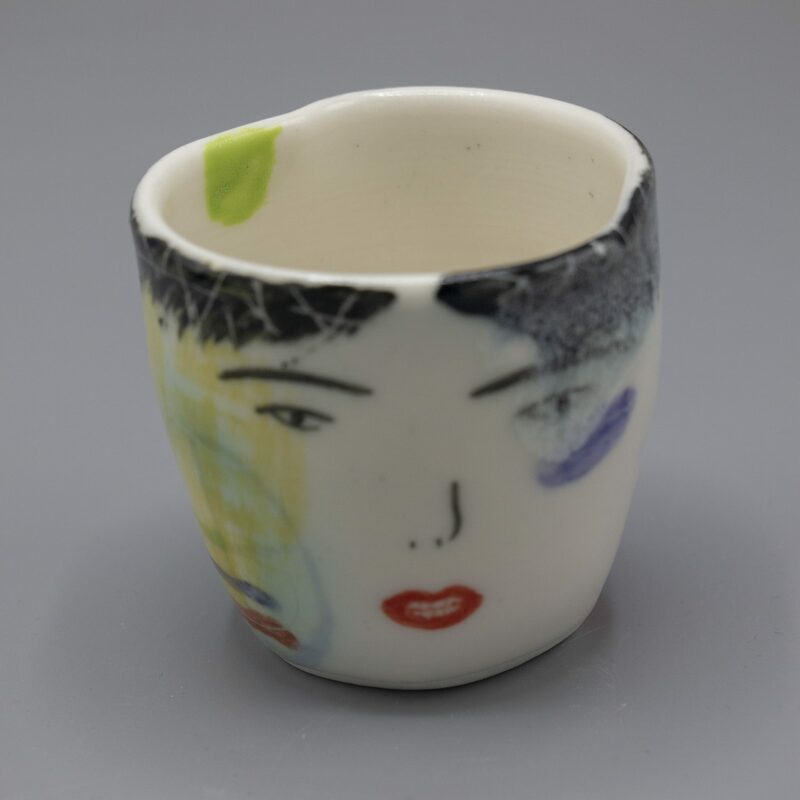 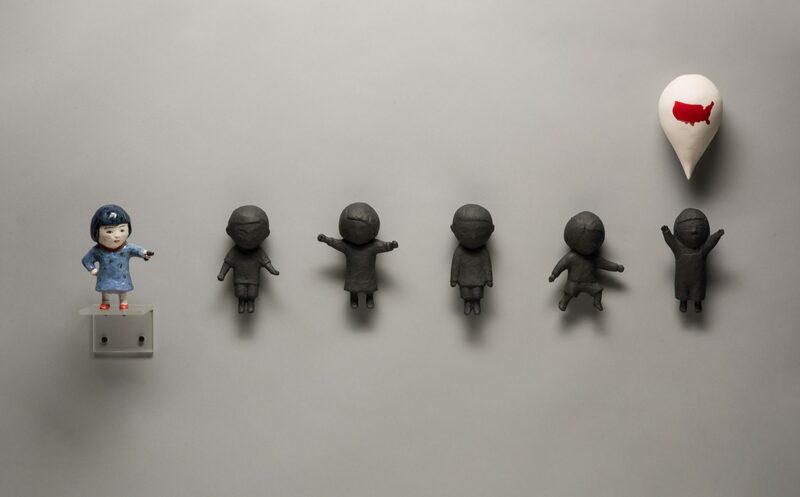 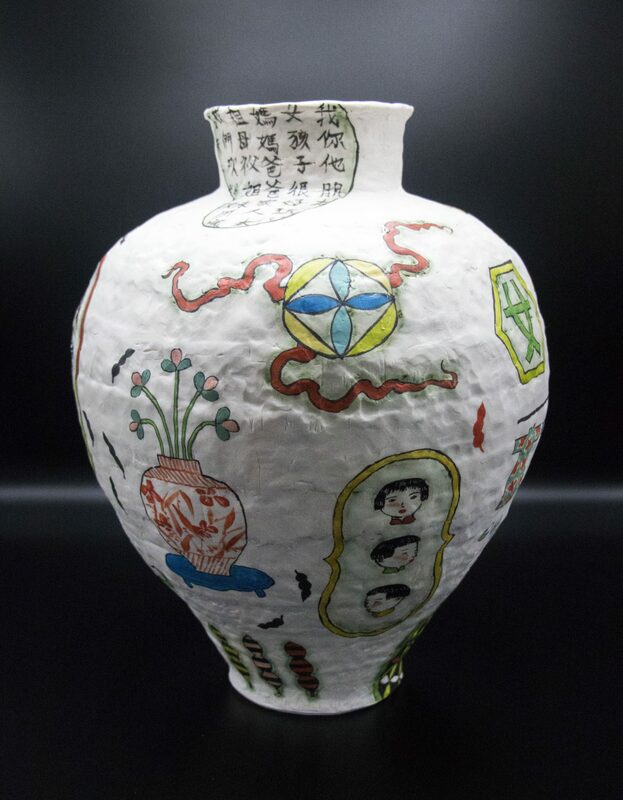 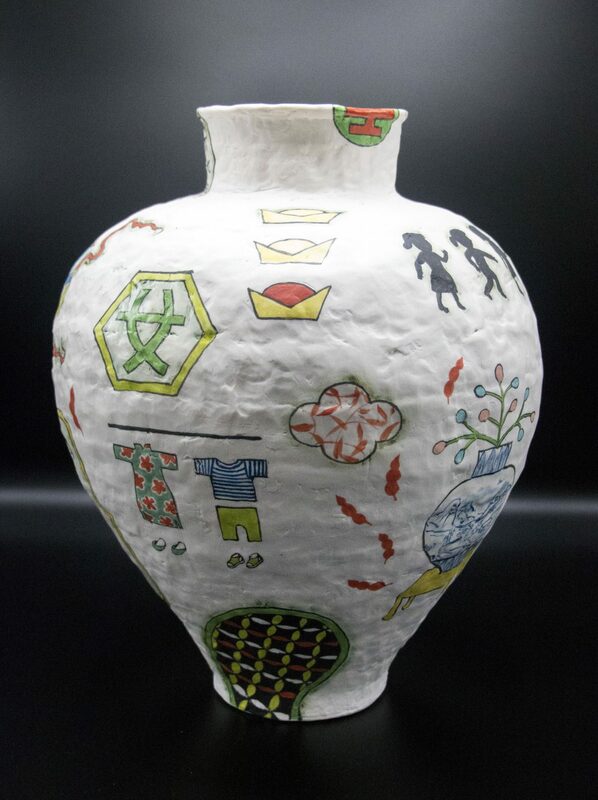 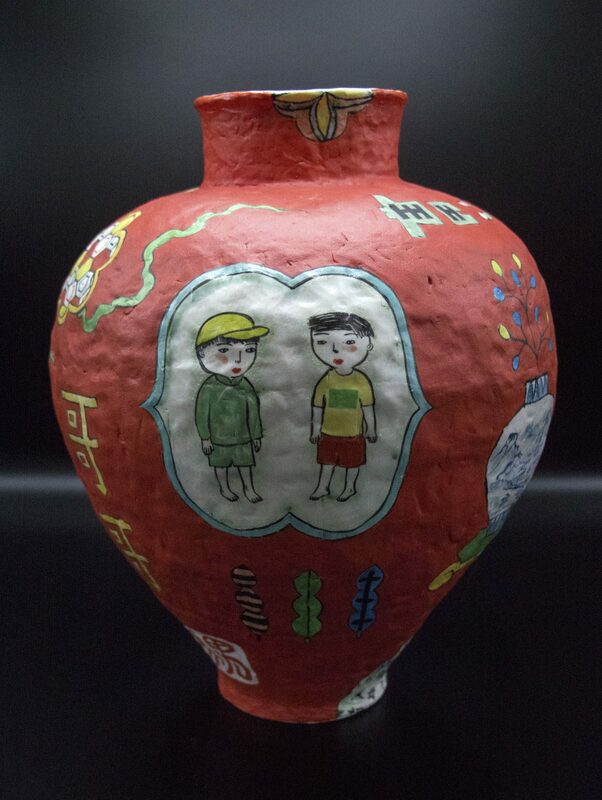 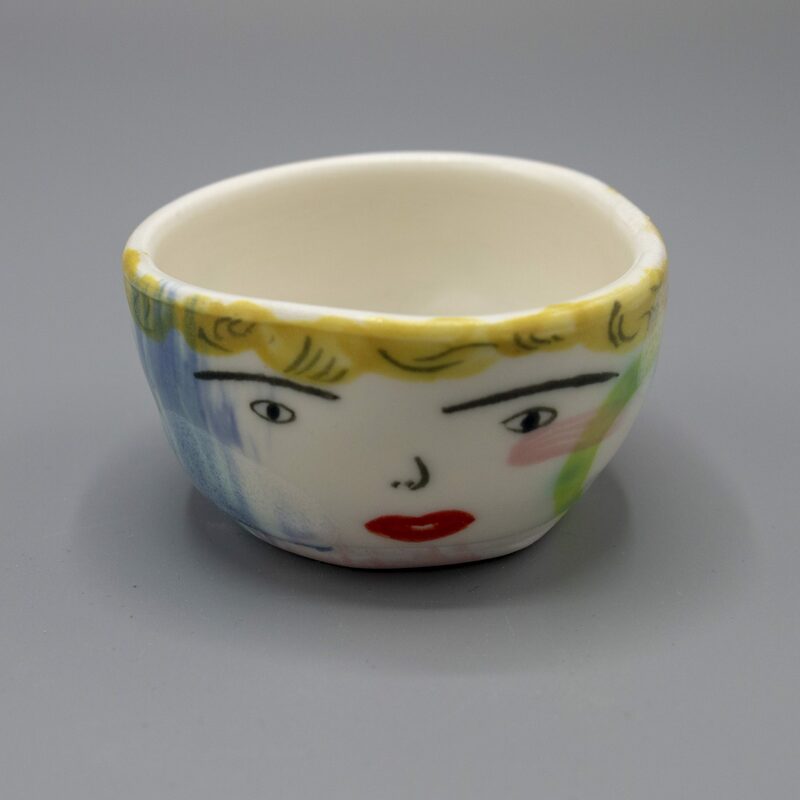 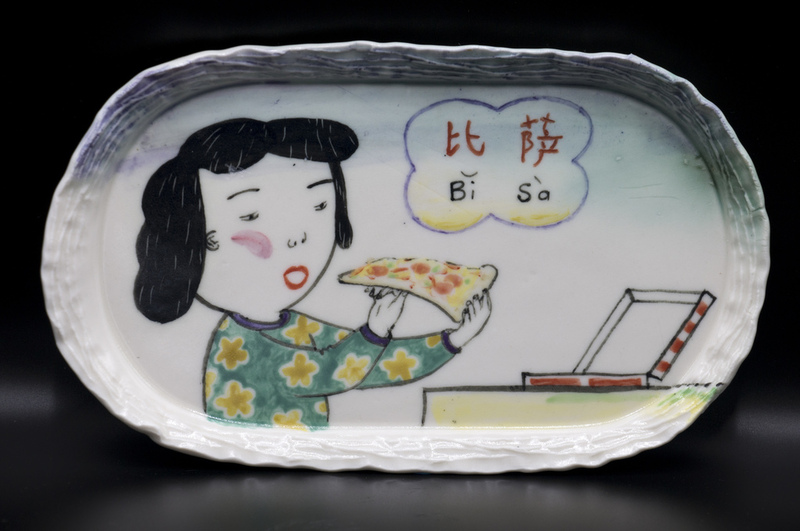 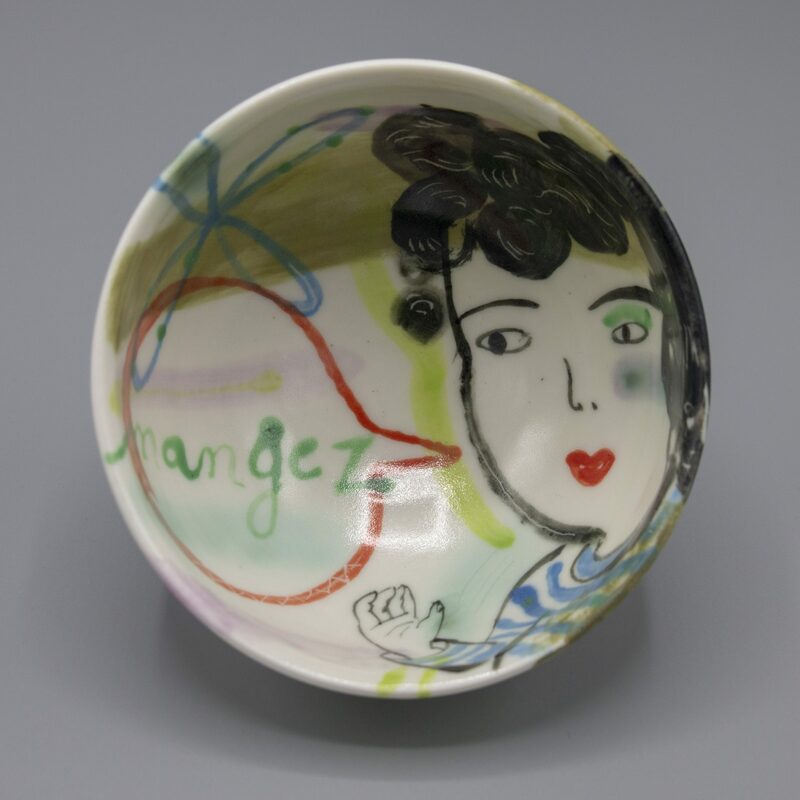 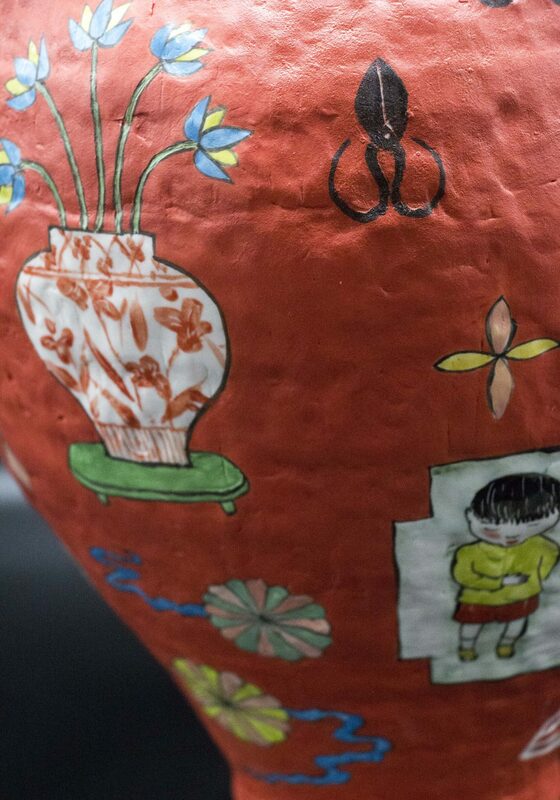 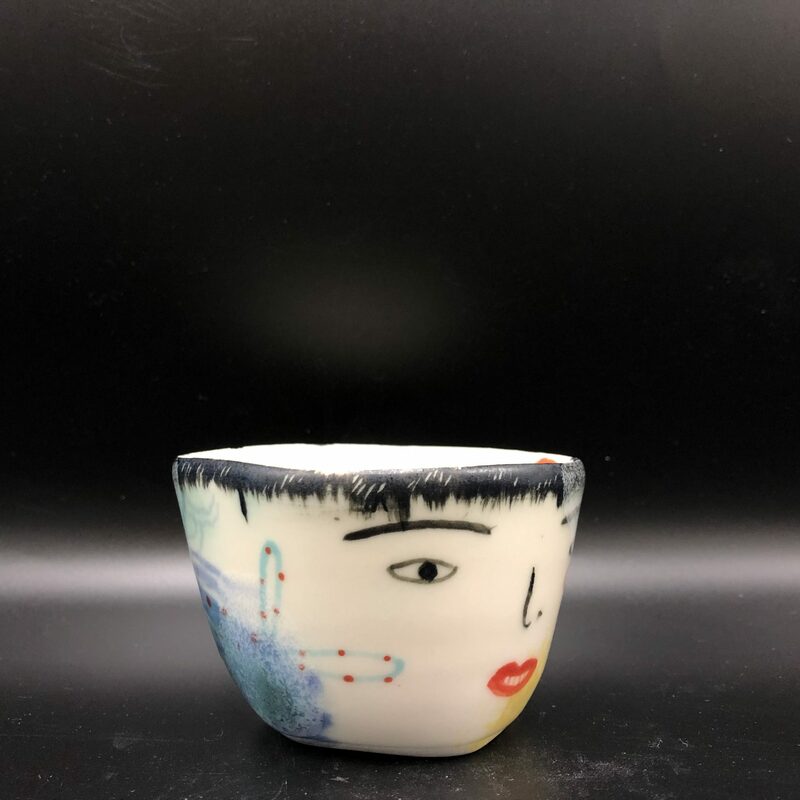 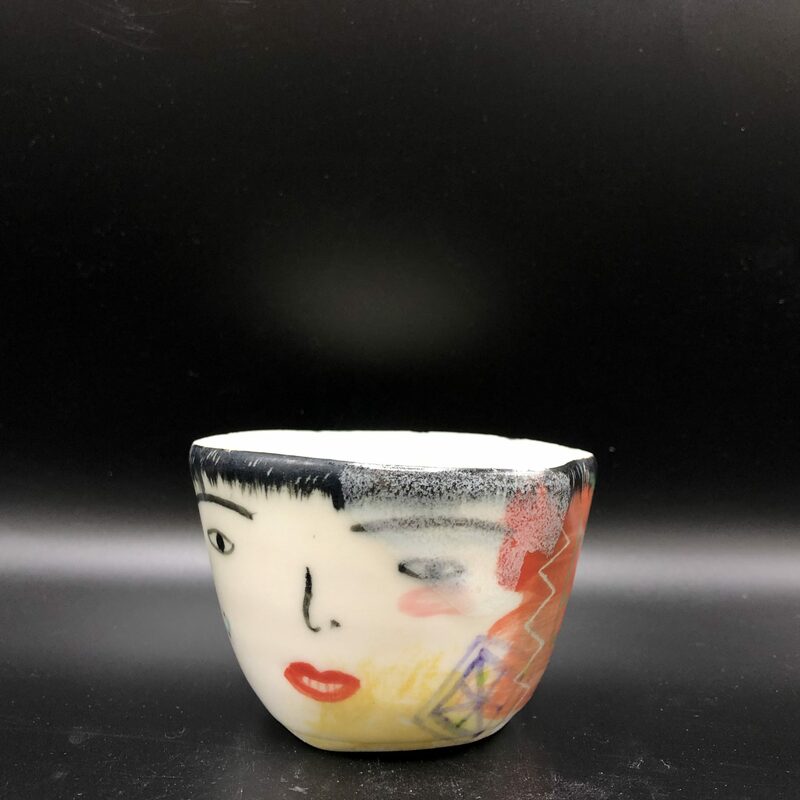 Lo’s work, both ceramic and mixed media, integrates themes from her childhood, her family, Asian culture, and language. 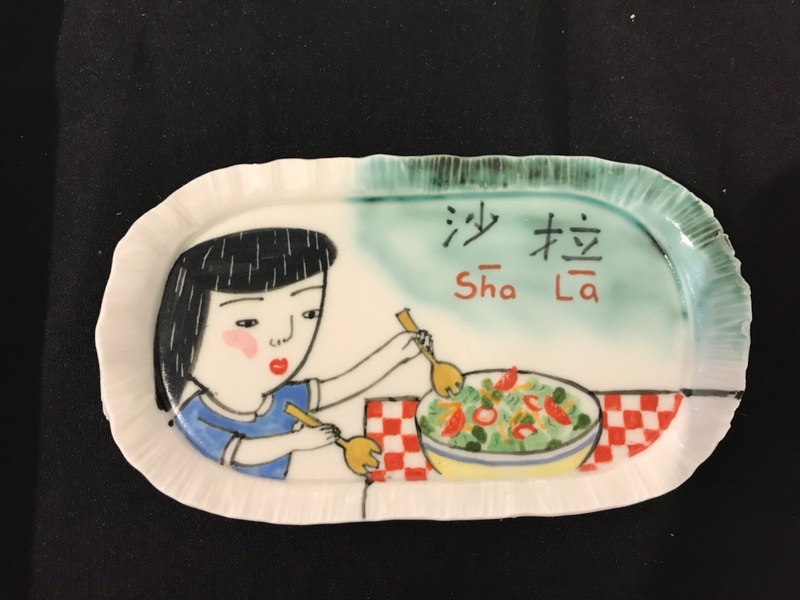 As a second generation child of an immigrant family, Lo attempts to reconcile the culture she was born into with the culture she inherited.